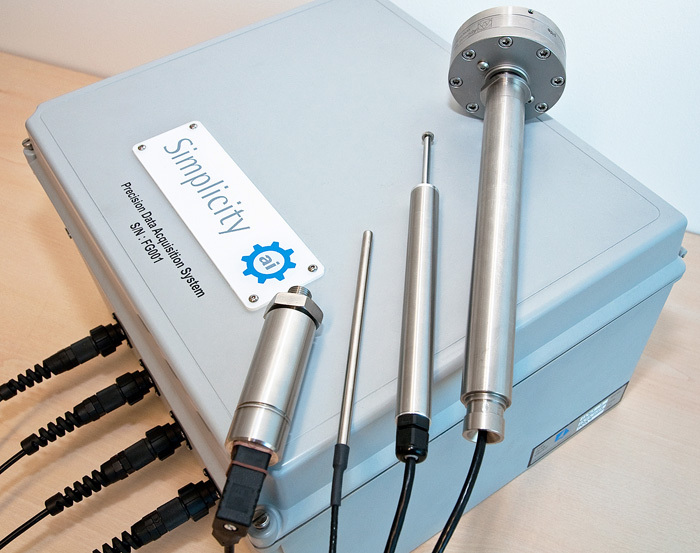 There is a requirement for a datalogger to perform effective stress analysis of soil samples taken offshore. The system will condition and acquire signals from sensors measuring load, pressure, displacement and temperature. Due to the remote offshore usage rugged corrosion resistant construction is required. The hardware carries out high precision 24-bit acquisition using a National Instruments Ethernet DAQ system, combined with precision sensor excitation in an IP65 enclosure with corrosion resistant connectors. A custom LabVIEW application manages sensor configuration, data acquisition, processing and logging to file. A separate land base station performs sensor calibration prior to shipping off-shore. The low noise 24-bit acquisition from the sensors provides stable accurate soil data measurements. The calibration data management system allows sensor replacement without needing to ship the entire system back to base. High ingress protection and salt spray resistant electrical connections ensure long term reliability of the system.